Tying together timelines, note-taking, geolocation and multimedia, The Traveler provides a cutting-edge mobile journaling experience for students working in the field, starting with the ability to record and visualize their pathways. Many of us can relate to the problem of taking hundreds or even thousands of photographs to document a memorable travel experience, only to lose track of names and locations upon returning home. Similarly, Ball State University students taking part in field trips and study abroad programs too often have returned home with fuzzy memories of why certain photos or places were important to them. An architecture student walking through a city might take photographs and make sketches of landmarks along his route, for example, but fail to remember the connections between those locations when the time comes for classroom discussion. In order to analyze field experiences effectively, students needed to make more detailed records of their in-the-field observations. They needed a way to collect thoughts and discussions in the field and be able to link them to photographs, notes, sketches and other documentation. Recognizing that mobile technology could provide a useful tool to meet those needs, Ball State's Information Technology team developed The Traveler, an Android app that allows students to create a record and visualization of their pathways, based on timelines, effective note-taking, geolocation and annotated multimedia curation. At its core, The Traveler is a mapping tool bundled with a variety of recording tools. 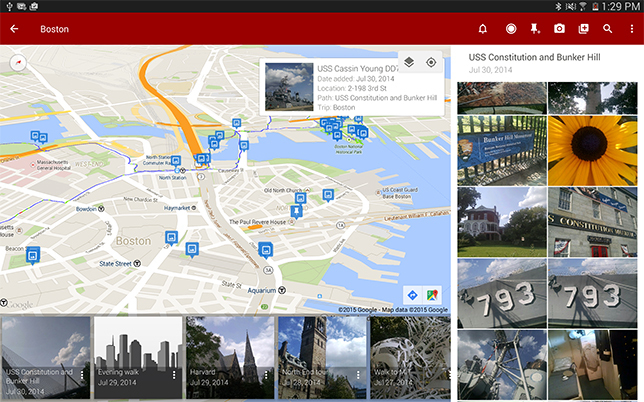 Students can pin (geolocate) photos, audio notes and sketches to their path along the map, resulting in a multimedia record of their personal travel journey. Back in the classroom, students can access their pinned materials and play back animations of their recorded paths in Google Maps or Google Earth, complete with three-dimensional structures and environments. 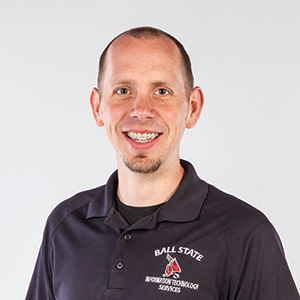 While there are many individual applications that students can use to support various aspects of their field studies (mapping programs, photo collections, note-taking apps, etc), The Traveler provides a single interface to tie those resources together, pointed out Ball State VP for IT Phil Repp. It also integrates data from the university's backend student information system, so faculty and students can easily create, access or share useful tools like class rosters and content collections. The Traveler combines mapping with the collection of photos, sketches and other media to allow students to document their field experiences. Developed in-house, The Traveler was built for devices running version 4.0 and higher of the Android mobile platform. Development tools included Eclipse early on, and later, Android Studio. The backend infrastructure to handle the data sync and storage consists of an ASP.NET Web server and a Microsoft SQL Server database. The Traveler currently works on more than 6,100 supported devices. Wearable apps such as Android Wear and a Glassware app for Google Glass. Though developers have worked hard on improvements and enhancements, they have held true to the core functionality and purpose of The Traveler's original design — to support field trips and field experience learning. From an initial pilot in the College of Architecture and Planning, the application has branched out to serve field studies in a diverse range of disciplines, from fashion and culinary arts to consumer sciences, journalism, geology, humanities, foreign languages and more. New features and refinements will be ongoing. "We and our students have begun to think of the existing feature set of The Traveler not as an end but a beginning of something bigger,"; said Parker. Recent examples of development work include collaborating with a guide company to offer tours and guided information, and participating in the Philadelphia PACT Wayfinding App Challenge for the city of Philadelphia and the University of Pennsylvania. 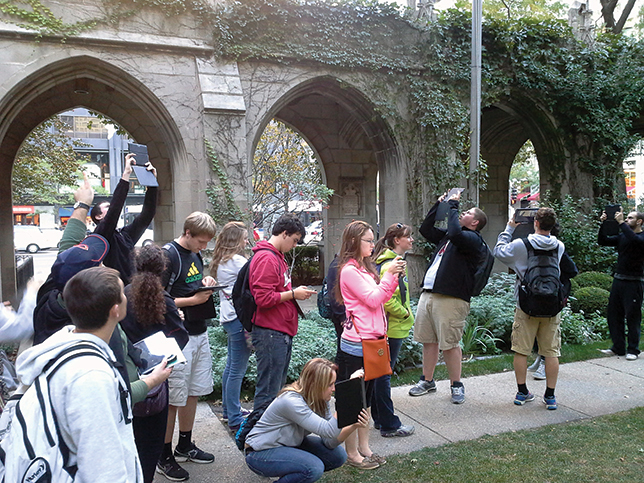 Students expressed a desire for the app to not only record their paths, but also inform them of attractions nearby. Noted Parker, "Linking or layering The Traveler with other recent developments in location-based, augmented reality software looks like an interesting way to address this suggestion, creating an information-rich travel experience for future field trips."